Welcome back to Part 2 in my 10 Step Design Process! During Part 1 I talked about finding the right kind of inspiration, and testing out your ideas. Today we’re going forward with what you need to do to get your designs out to the public. 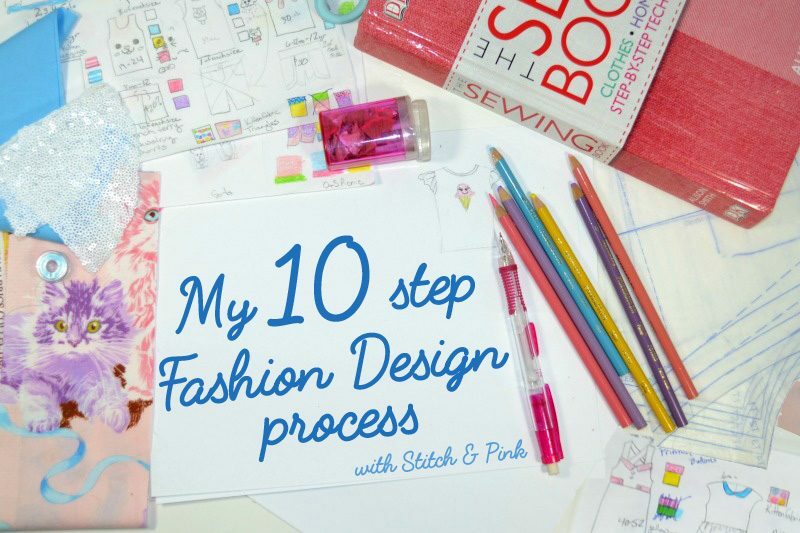 Keep in mind – This is my fashion design process for a one woman “boutique” kind of operation. I am the only one doing the designing, sourcing, cutting, sewing, promotion, shipping, etc. Most larger companies have different offices/personnel dedicated to each different step, so the designer doesn’t have to actually sew the clothes. You can simply make the design sketches and pay someone else to create patterns and sew the garments for you. Obviously, that will take a larger investment on your part, but it will also give you more time to focus on what you’re best at. If you’re lucky, you may even have family or friends with strengths you need who can pitch in on the cheap! Since I actually majored in Fashion Design at college, I’m more equipped to complete the entire process on my own. Don’t let that discourage you though. If you’re happy to start slow and build your brand gradually, you can definitely learn everything you need to know. I just takes a little diligence and a LOT of patience. We all want to make money, but I can honestly say I don’t know a single person who enjoys this part. Trying to put a number on how much you’re time and skills are worth vs. what a customer will actually pay is no small task. And most of us are more interested in the creative side of our shop more than the business side anyway. 1. Don’t sell yourself short. Again… Don’t Sell Yourself Short! You need to factor in not just your materials, and time, but profits too! The first thing people say when they don’t make sales right away is “I wonder if I should lower my prices? Don’t do it! Pricing too low is almost worse than pricing too high. It makes people think your products are poor quality. which leads me to. . . If you are making a quality product, and your prices are similar to those already in your niche, be honest with yourself about your shop’s other possible shortcomings. Is your photography a bit lackluster? Are you not targeting the right market? Figure out if there are any other improvements you can make to drive traffic before stressing over your prices. In the world of Instagram and minute attention spans, you have one image to grab a potential customer’s attention. Make it great! Style the heck out of those photos and make the viewer “feel something” when they look at it. Plain & simple – No one can buy your stuff if they don’t know it exists. Have you guys noticed how almost every post for the past month has made reference to the collection? Of course you have, and I’m sorry if it’s annoying. My focus has still been on sharing fun tutorials and freebies to get new readers involved, but dropping a little reminder here & there can help keep the excitement going. This step could come at a few different points in the process. It all depends on how you plan to market and sell your pieces. 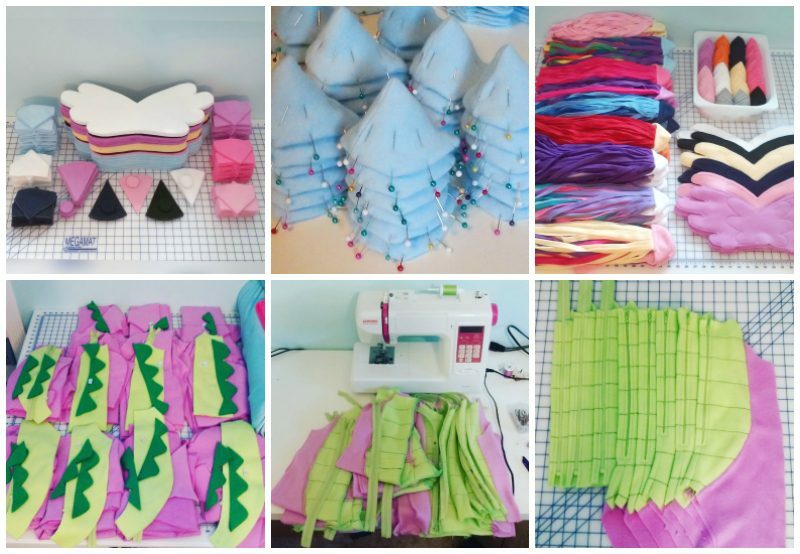 Are you going to take custom orders and sew the garment after it’s been purchased? Pros: Custom orders inspire a feeling of quality, and you haven’t wasted time and supplies on stock that’s just taking up space in your studio. 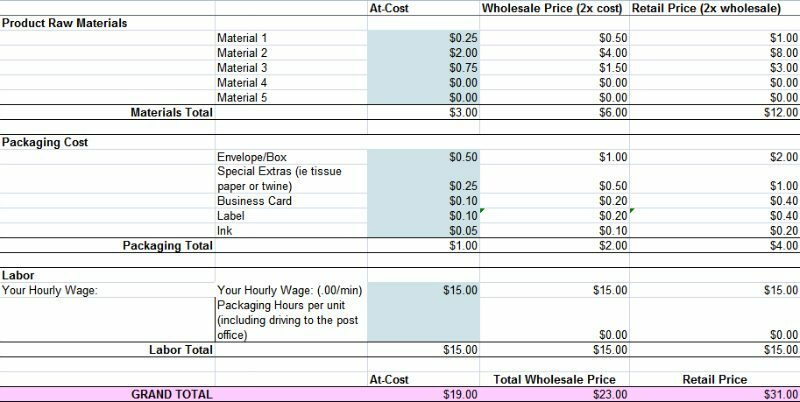 Cons: You have to work around the buyer’s schedule, and it can get stressful if you receive a lot of orders at one time. 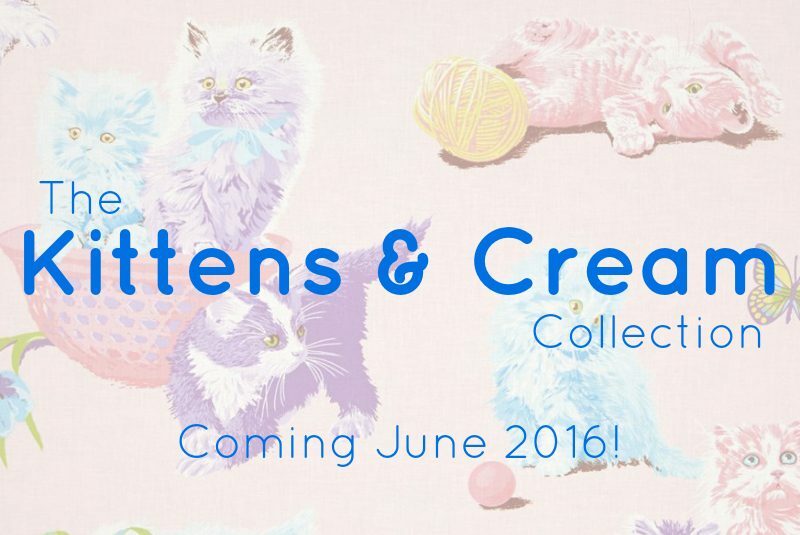 Are you going to make as may as you can with a set amount of material and create a Limited Edition drop? Cons: You may lose out on sales if you run out of stock in a popular size. Are you going to keep the entire collection in stock indefinitely and continue to order materials as necessary? Pros: You’re dependable. Customers know exactly where to go to get their favorite pieces. You can also work at your own pace to replenish stock as needed. Cons: Your choice of materials could be limited. Certain fabrics may not be available when you need to restock. Customers can become bored. If they already own everything you make why should they return? You’ve designed a style people like, and have begun making actual sales. Great job! But you still need to get your product to the customer, and this is a great opportunity to work on getting that next sale. Make sure your product is packaged in an appealing way that echos your branding. 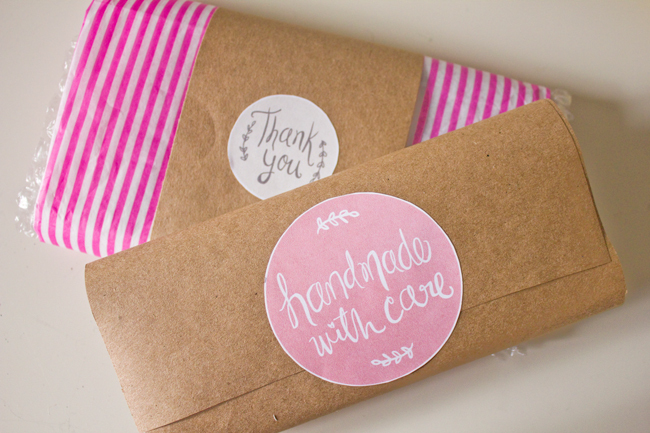 Color coordinate your supplies, and maybe include a nice little note or surprise as a way to show your appreciation. Customers like to feel special, and if you treat them like they are, they’re more likely to return. And don’t forget to include a business card for them to share with a friend. Now get that package delivered to them on time, and get ready to start all over again!